While some may be wary of the increasing implementation of robotics in the medical realm, the airline industry offers a great mind-easing comparison. In the early days, pilots were entirely responsible for a plane’s navigation, and rates of crashes and unforeseen travel errors were higher than today. With the eventual incorporation of computers and navigation tools, pilots altered their skill set to incorporate technology, ultimately resulting in safer air travel. Although they have the capabilities, if needed, to maneuver a plane manually, they are currently taught to utilize technology for more efficient travel. While pilots may use their skill set differently now, technology aids them tremendously — individuals can go farther, faster, and smoother, to the credit of these innovations. The Fast Company World Changing Ideas Awards recognize trailblazing companies aiming to tackle immense world issues such as climate change or population health, with past winners including a startup with an electric airplane and the Netflix documentary Chasing Coral. 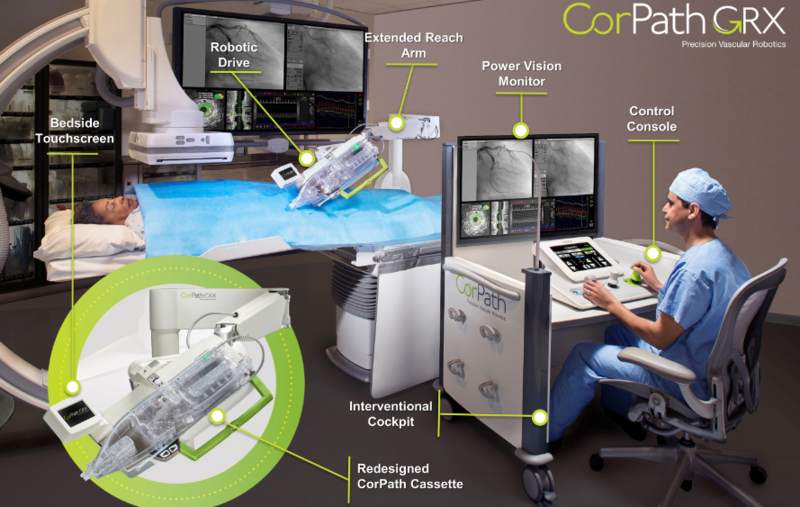 Out of a field of over 2,000 entries, Fast Company editors, writers, and outside judges selected Corindus Vascular Robotics as a finalist in the Developing World Technology and Health and Wellness categories. Our “world changing idea” is redefining telemedicine from strictly a diagnostic tool to a means to treat patients remotely via “tele-treatment.” Corindus is paving the way for large-scale, long-distance telerobotic intervention platforms across the globe. 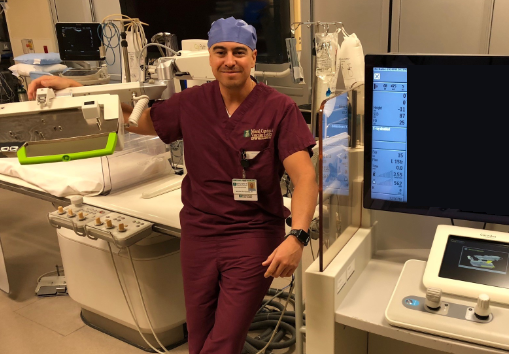 Yash Soni, Assistant Manager of Cath Lab Operations and Chief Technologist at Apex Heart, played a significant role on the core team involved in the Telerobotic Intervention Study. This study marked the first-in-human remote robotic PCI, where interventional cardiologist Dr. Tejas Patel, was located approximately 20 miles away from patients undergoing treatment at the Apex Heart Institute. 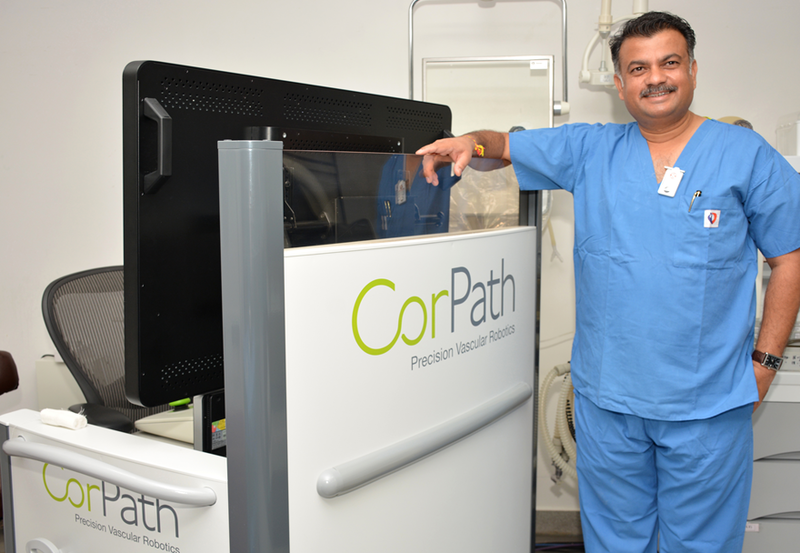 Yash and the Apex Heart team became robotic experts after installing CorPath GRX in December 2017, completing over 300 robotic PCI cases. Building a strong foundation of robotic knowledge is the first key step to tackling remote procedures in the future. The team at Apex Heart committed to this philosophy by embracing robotic technology and understanding the impact that remote robotic treatment could have to improve patient care in underserved populations with geographic barriers to treatment. 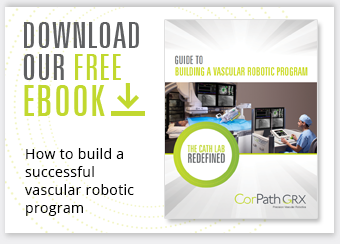 Learn more about Yash and the robotic program at Apex Heart below. February is designated as American Heart Month and health organizations like the American Heart Association (AHA) and the Centers for Disease Control and Prevention (CDC) use this time to educate the public about heart disease. Starting in 1963, this annual event is focused on encouraging Americans to battle against heart disease through open communication and proper prevention methods. WellSpan York Hospital installed CorPath GRX in July 2017 and has completed over 100 robotic procedures. 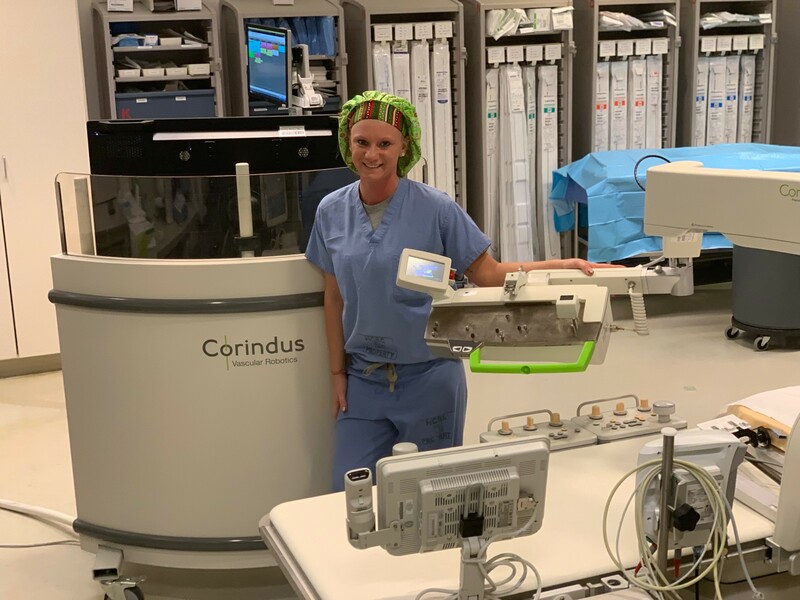 Samantha Lentz, RCIS, and the cath lab team, have been a critical component in the success of York’s robotic program. Implementation of a comprehensive program can push your hospital ahead of the curve by offering the latest in precision medicine for your patients. At the same time, your hospital will be investing in the safety of the physicians and staff who spend their lives devoted to caring for others. We discussed the importance of robotics with Samantha – get to know more about her role and experience with the CorPath System. Telerobotics, or remote robotics intended for interventional procedures, might one day allow heart attack and even stroke treatment to be readily available in all communities, including rural areas. Faster time to treatment could have the potential to increase patients’ chance of survival, and in the case of remote treatment of stroke, reduce permanent disabilities. Currently, cardiovascular disease is the number one cause of death worldwide. An estimated 18 million people die from CVD, with 85% dying from heart attack and stroke. We believe that socioeconomic status and the decline of skilled specialist shouldn’t be a factor within patient care and have been working to develop remote technology to address these barriers to treatment. In the last 12 months, we’ve successfully completed feasibility testing, conducted pre-clinical work in partnership with the Mayo Clinic, built a robust platform with strong connectivity and recently, performed a remote PCI test case in a live animal model from over 100 miles away. We caught up with Michael Fernandez, a seasoned radiologic technologist from Baptist Hospital of Miami, to discuss his experience with robotics and his integral part in their developing program. The facility started their robotic program in 2014 and has since grown. Implementation of a comprehensive program can push your hospital ahead of the curve by offering the latest in precision medicine for your patients. At the same time, your hospital will be investing in the safety of the physicians and staff who spend their lives devoted to caring for others. Staff members are a critical component to the success of robotic programs. Read our interview to get to know more about Michael, learn about his experience with the CorPath System, and understand the tech’s role during robotic procedures.